Agatha Christie is the master of murder mysteries. Her Poirot and Miss Marple characters are as famous as Sherlock Holmes. But even these detective novels have endured as long as Christie's murder mystery play, The Mousetrap, which celebrated its sixtieth anniversary in November 2012. The play began life as a short radio play called Three Blind Mice, and was written in honour of Queen Mary. It was inspired by the death of a boy in foster care on a Shropshire farm. Christie also wrote a short story of the play, but said it was not to be published until its life on the West End had ended. The story has yet to be released in the UK. Despite running for sixty-one years, if you have not seen The Mousetrap, it is unlikely that you know how it ends. Spoilers are rife with most forms of entertainment, but audiences of The Mousetrap are always asked to keep the twist ending a secret, so as not to ruin it for others. Somehow, this request has managed to be respected. 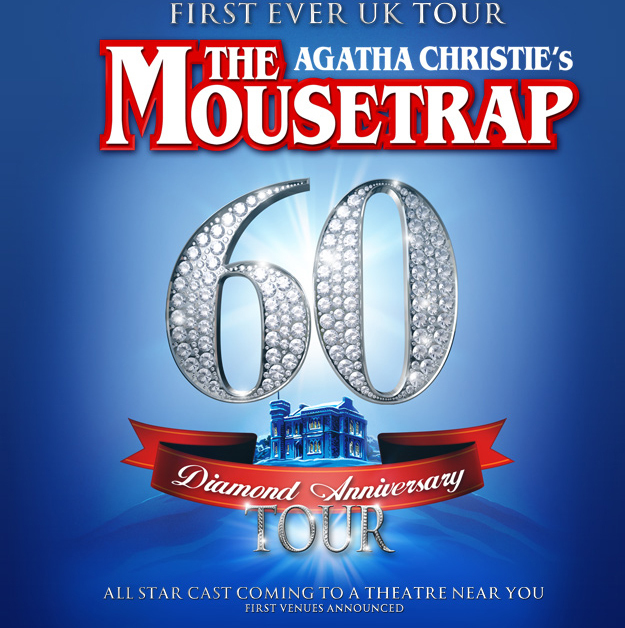 The Mousetrap started its Diamond Anniversary Tour last year, and is currently on a brief hiatus while it takes part in a Christmas special at St. Martin's Theatre in London. The cast are performing until the 3rd January before heading back on the road. Starting at the Salisbury Playhouse Theatre on the 27th January and ending in Jersey Opera House on the 2nd August, ticket prices vary depending on which venue you go to. Set in a country manor house, a group of people are stranded because of a snow storm. They will have to wait it out before they can leave, but with a murder in the midst, not everyone is going to make it out alive.